I was once and briefly a very junior engineer in the Merchant Navy. I went to college took part of my 2nd engineers ticket. I spent very little time at sea and left to do something completely different. The interest in ships and engineering never quite left me though and this part of the Journeyman′s Workshop is a collection of bits and pieces vaguely connected with ships, boats and other things with a maritime leaning. I discovered some pictures recently of one of the ships I sailed on "Esso Glasgow" which brought back a few memories. 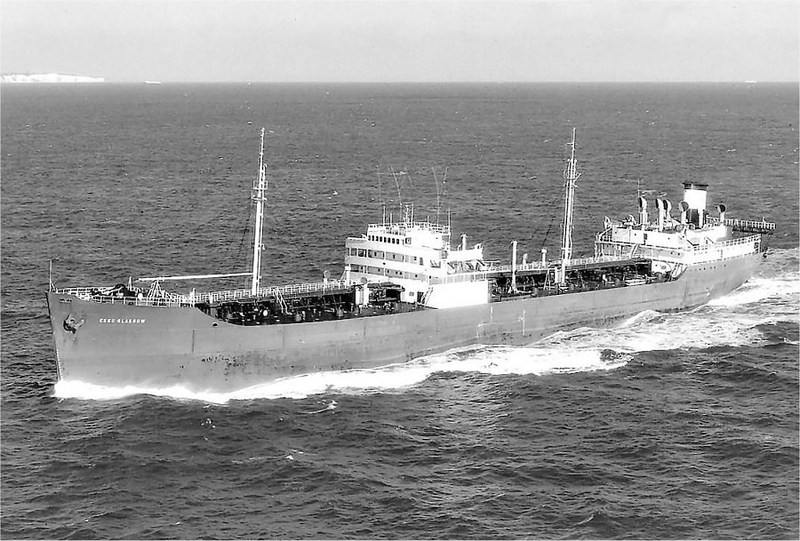 Esso Glasgow was was built in 1944 and became part of the Esso UK fleet in 1947. She was rebuilt in 1956 by means of adding a new longer centre section. Turbo electric powered she spent most of her working life coasting around the UK and Europe carrying petrol, naptha, diesel and similar light fuels. I served aboard in 1969 and she was finally scrapped at Bilbao in 1971. 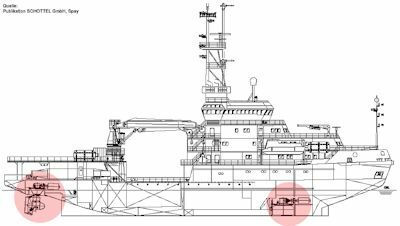 More detail can be found on Auke Visser´s Esso UK Tanker site. I also learnt from this website that Revell made a plastic model of the Glasgow, I must find out if it is still available! Talking of plastic kits I used to build quite a few, "when I were a lad", and a few years ago thought I would try the grown up version! One day I will model something really interesting and original but for now a quick look at my recent unfinished effort. Continuing along the modelling thread this one has not yet got further than wishful thinking. The ship shown is a German Coastguard pollution control vessel. I found this some time ago and have always though it would make a super model. 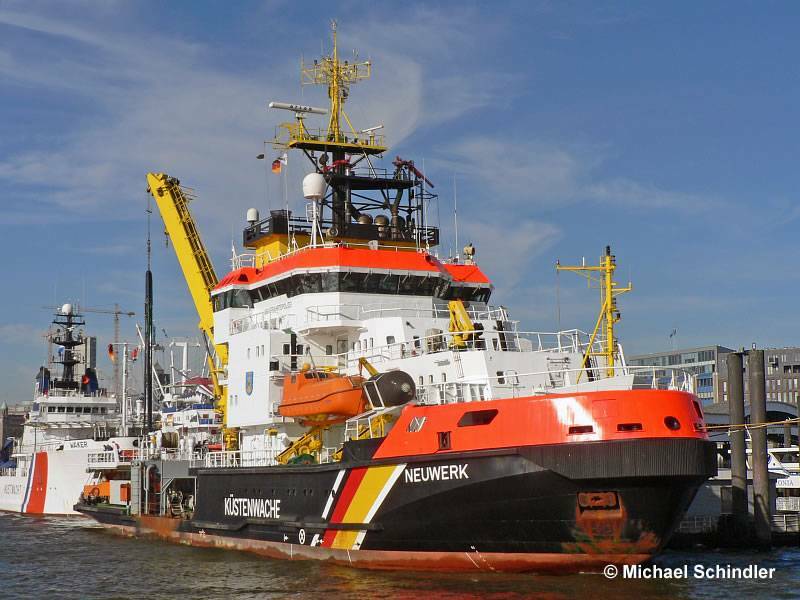 I have tried to contact the builders, Volkswerft Stralsund GmbH, several time without success but I have been slowly gathering images and data from the internet where Neuwerk seems to be quite a popular vessel to photograph. Recently (2010) I have purchased a set of drawings from a German model supply store VTH (Vertag für Technik und Handwerk GmBH) which is a 1:100 scale set of drawings for modelmakers. I have also obtained a set of original drawings from the ships owners, WSA Cuxhaven. Next on the agenda is to learn German so that I can read the drawings! 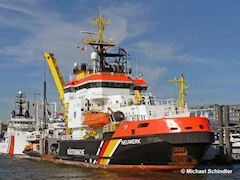 More information about the Neuwerk can be found at Neuwerk - Pollution Control Vessel - a future project, maybe? I came upon this triple expansion steam engine in the Science Museum, Kensington, London, UK and was struck by it′s familiarity. I don′t think it is currently on display but close inspection revealed why I knew it. 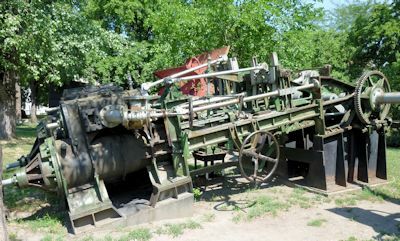 The engine came from the Training Ship Glen Strathallan a converted steam trawler. It is here because many years ago, when doing part of my marine-engineering cadetship, I was briefly quite well acquanted with it . I have found out a little more about the origins, history and eventual demise of this little ship and present it here for your interest. 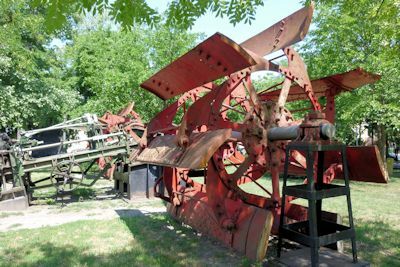 The feathering paddlewheels are about 3m dia and some 5m apart, although the shaft may have been reduced in length for the display. 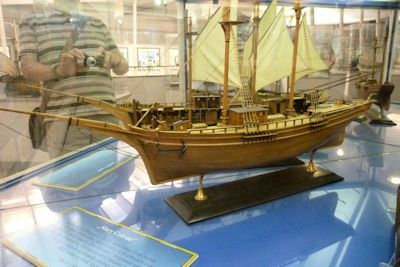 This is a cutaway or half section model of the Mary Celeste, set in a mirrored case so that you can see the inside. Also has the unfortunate effect of showing an unintentional "selfie" of the photographer.